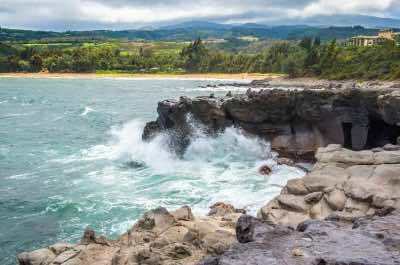 Here are best Maui attractions for tourists not to miss - they will delight water lovers, nature lovers and historians alike! 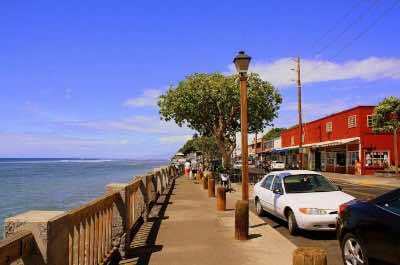 The first Maui attraction that should be on your itinerary is the city of Lahaina on the west coast. It is the main route to get to the stunning beaches of Kaanapali, but don't be in a rush to pass it by! The town offers a fabulous day outing exploring the history and charming ambiance. 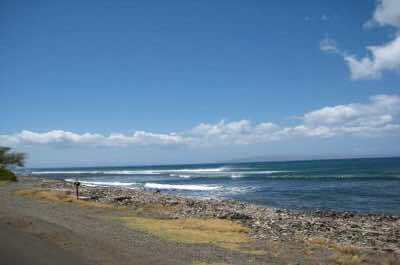 Lahaina was the royal capital of the Kingdom of Hawaii, between 1820-1845 and there are many old sights to see. Visit the ancient cemetery to see the royal graves and the defence fortress that has been reconstructed. Then stroll around the Historic District which is a National Historic Landmark. No longer involved in whale hunting, the town now offers fabulous whale watching opportunities for animal lovers. Sports lovers can enjoy snorkeling and surfing. Join one of the sightseeing cruises that departs from the port and when you get back everyone can end the day at a fabulous, colorful luau, a traditional Hawaiian party featuring music, a massive feast and the hula dance! An amazing Maui attraction that you cannot miss is the Haleakala National Park, which means House of the Sun. This Park protects the largest dormant volcano on the planet, the Haleakala Crater. 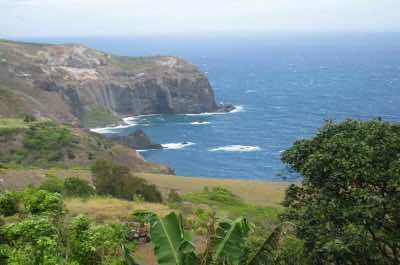 The Park is divided into two sections, one is the coastal area around Kipahulu and the other is the crater itself. For something really different, join an overnight hike through these strange lunar-like landscapes. Your guide will update you on the geology and fascinating history of the region. Legend tells that the semigod Maui imprisoned the sun here, to try to lengthen the daylight hours! 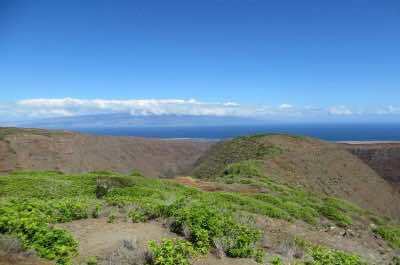 This area is home to the endangered Hawaiian geese and the trails offers stunning views across the West Maui Mountains. Hike past fabulous cinder cones and lava flows - exciting Maui attractions. 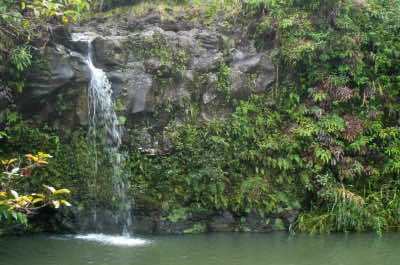 In the coastal area of Kipahulu you will find the exciting Maui points of interest - Pools of Ohe'o, lovely freshwater pools and sparkling waterfalls that hide amongst the bamboo forests. Sit at night and see a sky so bright and filled with stars that you will think you are in outer space. Then be awed at the stunning sunrise in this piece of paradise. 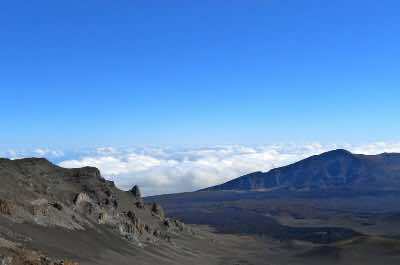 Take time to explore one of the most exotic landscapes on the planet Ð the Haleakala Crater. This dormant crater covers almost 75% of the island, an area larger than Manhattan. It is known as a shield volcano and last erupted in 1790. 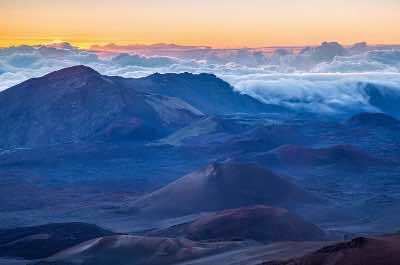 The Haleakala Crater is the world's largest dormant volcano and is protected by the Haleakala National Park. Take a hike with a tour and explore the cinder cones and lunar-like landscapes leading up to the crater itself. When you gaze down into the crater, at a depth of 2600 feet, you are sure to remember this moment for ever! If you are fit and brave, you can hike across the crater floor. Odds are that the volcano will blow its top again, but probably not now, so go for it! The Park is also home to rare endangered species like the Hawaiian geese and the delicate, fragile Silversword and other beautiful fauna and flora. This is a Maui attraction that must be on your list. Back up from the crater, the next fabulous Maui attraction to be explored is Ohe'o Gulch. 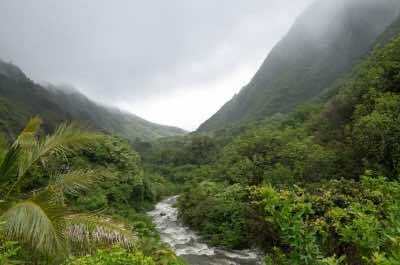 This lush, vibrant green valley has been created by rain forest streams that have run across the land for centuries. The official name is the Kipahulu Area and was incorporated into the Haleakala National Park in the 1940s. Be prepared to get wet! The area offers stunning tall waterfalls that drop down from dizzy heights into beautiful tiered natural pools, known as the Seven Sacred Pools of Ohe'o. When the water levels are not too high, swimming in the pools makes a perfect day outing for the whole family. Hikers can explore the magnificent 2 mile Pipiwai Trail which runs along the banks of the Palikea and Pipiwai Rivers. You will need to be fit as the hike can take up to 5 hours. At the end of the path, you will be treated to a swim in a pool under the 400 foot high Waimoku Falls. This paradise setting is away from the tourist crowds and will delight those that make the trip. 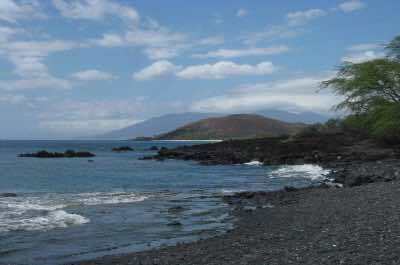 A tropical beach, underground caves and walking trails call on our next fabulous Maui attraction. 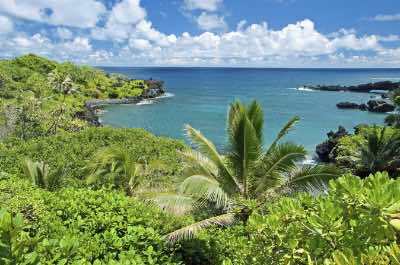 The Waianapanapa State Park is reached on the legendary 'Road to Hana' drive which takes you to the town of Hana on the far east tip of the coast and the surrounding Park. Plan to stay overnight in Hana and take time to explore. The Park offers beautiful lush vegetation that leads down to the small beach of Pa'iloa, known for its unique black sand. Swim, sunbathe and enjoy a walk. Then head to the underwater caves which are filled with a combination of fresh water and salty sea water. They make for a fabulous swimming experience. Take a tour and learn about the history of the area, there are ancient burial sites to be visited and a walking trial that you can follow from the Park into the town itself. Visit the iconic Maui point of interest - Hasegawa General Store, established in l910, it featured in a famous song that became a hit on local radio. Exploring the little towns of the Island is a must and Paia is the next Maui attraction. Located on the central north coast of the Island it offers funky bars and restaurants, craft shops, surf stores and art galleries. The buildings are old plantation-style wooden structures that have been preserved, painted in fun pastel colours and converted, giving a quaint and unique ambiance to the town. Paia was once a small sugar cane town but became world famous for its fabulous waves. Today it attracts wind surfers who come to show off, take part in major competitions and enjoy the fabulous sport at the nearby Ho'okipa Beach which is known as the windsurfing capital of the world. Relax on a beach towel and watch the surfers in action, join in if you are good enough or set off to the smaller and calmer Baldwin Beach for a paddle with the kids. Plan to stay overnight and get the full experience of this lovely Maui attraction. 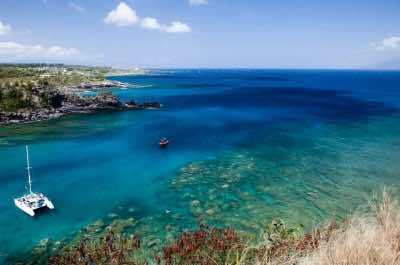 A crescent shaped land mass in the middle of the blue ocean, 3 miles off the coast, makes the perfect underwater wonderland of reefs, corals, exotic marine life and is the ultimate Maui attraction for snorklers. 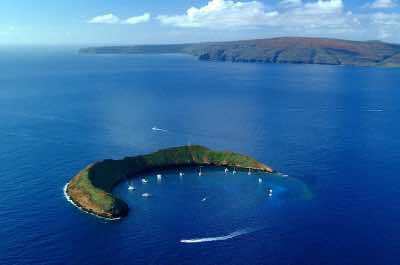 The landmass is formed from a sunken volcanic crater and is known as the Molokini Crater, holding the accolades for being one of the world's top 10 dive locations. Molokini will thrill with its protective reef that is home to over 250 species of colorful fish in crystal clear turquoise waters. The crater will also thrill birdwatchers, who can spot sea birds like petrels and shearwaters. Visit by joining an organized tour that involves a day of swimming, diving and snorkling. Your guide will update you on the geology, history and fascinating creatures that live here. Many tours include the hire of equipment, making this a great family outing. On the way back, sailing in a luxury catamaran, you will enjoy a refreshing drink and a delicious lunch while admiring the awesome views across the water. Hana is a famous town located on the eastern tip of Maui and is reached on the iconic Road to Hana. The drive that meanders for almost 50 miles along the north shore, is spectacularly scenic and should be explored slowly with stops to see the beautiful beaches, waterfalls and panoramic views. Hana is a Maui attraction that must not be overlooked! Plan a self-drive trip or join a tour where will travel in a luxury air-conditioned minivan with personal guide. Although the town of Hana is small, it is busy with tourists all year round. The weather is fabulous, making this the perfect place to explore tropical beaches, rivers, waterfalls and the Waianapanapa State Park near by. Head for Hamoa Beach, known for its unique black sand! Swim, snorkel, walk or relax on a beach towel under an umbrella and watch the beautiful people. Hana town offers historians a wealth of interesting places to explore starting with the Cultural Center. Then relax in the delightful tropical garden and enjoy lunch at the Paniolo Lounge. 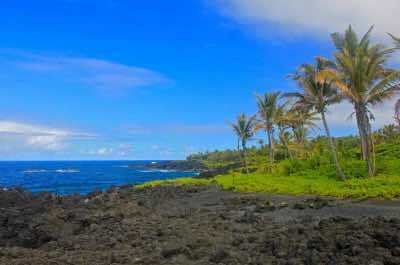 If you are looking for a stunning, scenic Maui attraction, it has to be the Road to Hana. This world famous drive takes you along the north coast, high up on the lush green cliffs, for a distance of around 50 miles. The views are breathtaking, the road is full of twists and turns and the drive can take all day! Stop and explore as you go along. There are stunning waterfalls, beaches to soak up the sun and swim, hikes into the surrounding forests and lookout points to stop and take photos. You can plan a self-drive trip or join a tour where you will travel with a guide in a luxury bus. Leave from Kahului and set off to the tiny town of Hana. Have fun when the road narrows on the bridges to one lane and everyone stops and waves! Explore the Twin Falls, the Ho'okipa Lookout, Honomanu Bay and the beautiful Wai'anapanapa State Park. When you get to Hana, visit the Cultural Center and stroll through the Historic Center. An overnight stay at this exciting Maui attraction is recommended! Pineapple, pineapples and more pineapples are the order of the day on our next fabulous Maui attraction. Lanai Island lies off the west coast of Maui and although it is much smaller, it is the 6th largest of the Hawaiian islands. The famous pineapple mogul, James Dole has created a state-of-the-art golf course that demands a few rounds. Trendy resort hotels are springing up along the beachfront. Despite this, the Island retains its unspoiled ambiance with no department stores, traffic lights or paved roads. Be prepared to travel off-road in a 4x4 and enjoy the stunning scenery and beaches to be explored. Stroll around Lanai City and soak up the history and culture, ride on horseback into the magnificent countryside or join a hike with a guide to learn about the natural fauna and flora. Sports lovers can snorkel off the beaches and swim with the dolphins in one of the world's best dive sites. For a romantic trip, sail around the island on a yacht at sunset and sip champagne to celebrate a honeymoon, engagement or anniversary. Can you imagine viewing a rock pinnacle that rises 2250 feet into the air? This is our next not-to-be-missed Maui attraction. This iconic sight is known as the Lao Needle and is found in the Lao Valley State Park. 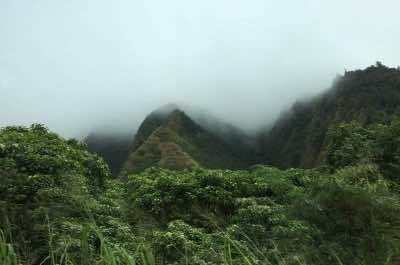 The peak rises up from the valley floor and is covered in dense, lush green plants that wind their way from the base to the tip. The sight is totally mesmerising and you need to have your cameras ready. The surrounding landscapes of the Lao Valley offer rainforests, volcanic craters, natural pools, waterfalls and crystal-clear streams. Walk along the short trail to a look out point with panoramic views. Then learn about the nearby Kaahumanu Church which was named after Queen Kaahumanu and erected in 1876. Historians will be thrilled to learn that the pinnacle was used as an altar and was the site of a famous battle between Kamehameha and the warriors of Maui. Spend the day hiking, swimming and relaxing in this stunning Valley before setting off back to the town for dinner. Enjoying a family evening of dancing the hula, eating delicious Hawaiian food and sipping tropical drinks is our next recommended Maui attraction. 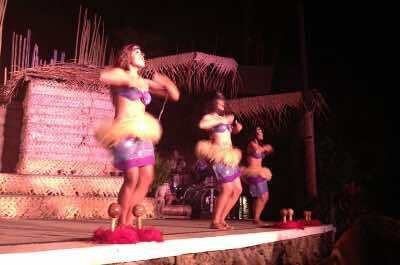 The Royal Lahaina Luau is a fun filled experience for all ages. It takes place on the oceanfront entertainment area and is located inside the Ka'anapali's Royal Lahaina resort. This show is also economical, which Mum and Dad will appreciate! While the kids learn how to dance, parents can try some exotic tropical drinks, like Blue Hawaiians and Mai-tais which are served with luau traditional food such as lomi salmon, kalua pig and bowls of poi. The fun and colorful costumes will enchant as the music beats out into the night air. As it gets darker and the sun sets, the fire dancers create an awesome scene of swirling fire sticks and twirling staffs that will resonate long after it is all over. This will be a night to remember. The Royal Lahaina luau is located very close to the resort hotels and is easily reached by taxi or your self drive vehicle. Learn about Maui from a different perspective on a genuine plantation. You will get to explore a real working plantation built in the form of a theme park. 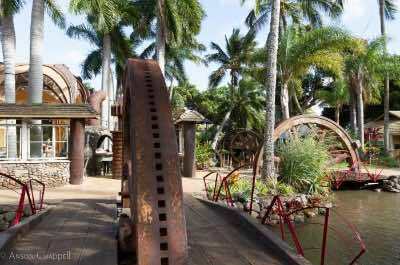 The Maui Tropical Plantation extends over 60 acres and was designed as tourist attraction to showcase the legacy of the Island's rich agricultural past. Start with the tram ride which takes you on a narrated tour of the plantation. Learn about the crops that make Maui famous, like sugar cane, pineapple, coffee, bananas, and macadamia nuts. Stop and try your skills at husking a coconut. After the trip, visit the Maui Country Store, bursting full of fresh Island produce and buy some to take home. Enjoy lunch at the on-site restaurant where you can sample some of the fruits and crops you see growing around you. This Maui attraction is ideal for the whole family and makes a great day outing. Setting off on a sunset or dinner cruise? Joining a snorkeling or fishing charter? All these trips launch from our next Maui attraction, the busy Ma'alaea Harbor. It is located in a bay in the southern corner of the Island. The harbor accommodates 89 slips for boats and offers a fabulous day outing even if you are not going to travel out to sea. Walk around and soak up the ambiance. Fishing boats, cruise catamarans and small local craft sail in and out, people are up and down and the vibe is fun and trendy. Animal lovers will be thrilled to know that from November to April you can stand at the special scenic lookout and be awed by the massive humpback whales as they leap out of the water. At other times of the year, be treated to schools of dolphins swimming alongside the boats. 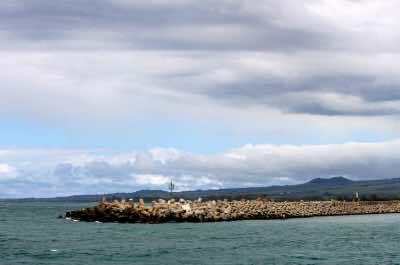 This harbor is the headquarters of the Pacific Whale Foundation and World Whale Day takes place on February 14. Enjoy a tour of the fabulous Maui Ocean Center, an aquarium that showcases Hawaiian sea life. Lovers of the outdoors will never run out of Maui attractions. Head to La Perouse Bay, a magnificent piece of coast on the south shore, bordering on the Ahihi-Kinau Natural Area Reserve. It was named after Jean-Franois de La PŽrouse, a French explorer who was the first European to arrive on Maui in the18th century. The Bay offers fabulous scenes of volcanic activity, with a surreal landscape covered in jagged, black lava and pieces of white coral. It has to be seen to be believed! Hikers can take the King's Trail which winds its way past some lovely small coves. These waters are protected by law and fishing is not allowed, the result is a wealth of aquatic life that makes a wonderland for snorkelers. The rocky outcrops are home to beautiful corals, sponges, all types of fish and marine plants. Dolphin lovers will be thrilled to see spinner dolphins jumping and playing in the Bay. When waters are calm, grab your kayak or go for a swim! When you have had enough sun and sand, head indoors out of the heat for a fascinating lesson on all things related to whales. The Whalers Village Museum makes a great Maui attraction for the whole family and a perfect day outing. The Museum is located in KŠÔanapali in the Whalers Village Shopping Center and is unique in the world. As you approach you will be awed by the 40 foot long sperm whale skeleton standing at the entrance. Inside, you can take an audio tour and learn about ancient harpoons, whaling tools, sea chests, sailor journals and ship logs. Learn about the hardships endured by whalers on long sea trips that could last for up to 5 years. 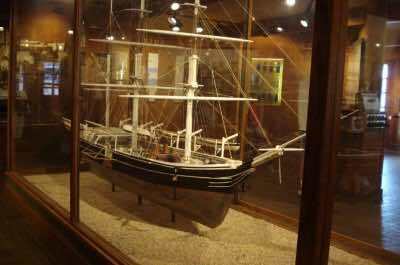 The Museum is most famous for scrimshaw, an art form practised by sailors at sea. Learn how they would engrave or tattoo pictures onto whale teeth or bones using razor sharp knives and then rub them with ink to make the designs stand out. If exploring underground caves is your thing, you won't be disappointed! The Ka'eleku Caverns is a stand-out Maui attraction for you. This half mile long cavern system was formed by lava that cooled above the ground but continued to flow underneath, creating amazing rock formations, caves, stalactites and stalagmites. Locally known as the Lava Tubes, you can explore this surreal landscape that is over 30,000 years old. Be prepared to get wet as water drips constantly down from the ceilings! Those who dislike bats will be pleased to know that they are very absent from this cave system. These caves offer a unique natural phenomena - the tubular shaped walls are covered by a thick brown slippery substance that looks like poured chocolate. Have your cameras ready! When you surface, take a walk in the magnificent red Ti botanical garden maze, just make sure you don't get lost in it! Want to explore the stunning marine life of Hawaii but prefer to remain dry? Set off to the Maui Ocean Center in the town of Wailuku, our next recommended Maui attraction. It is the biggest tropical aquarium on the planet and focuses specifically on the marine life that thrives around the the islands. Walk through the massive clear acrylic tunnel and you get a 360 degree view of sea creatures all around you. 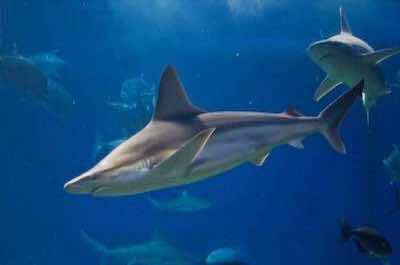 Then visit the huge Open Ocean tank. You can see 60 unique exhibits showcasing octopus, sea horses, stingrays, turtles, moray eels, sharks and jellies. Take an audio tour and learn all about the life of dolphins, whales, and monk seals. Then stop and be awed at the magnificent collection of live corals. The Center strives to portray the integrity of the animals' native habitats so visitors can get a realistic understanding of Hawaii's seas, one of the most unique aquatic environments on earth. Trained ocean naturalists are available to answer questions and guide you through the exciting Maui attractions - Living Reef, Turtle Lagoon, Hammerhead Harbor, Discovery Pool and Open Ocean exhibits. Love wandering through Museums? Then our next Maui attraction will delight you. Bailey House is both an historical house and a museum and showcases a massive collection of Hawaiian artifacts, dating back to the 19th century. 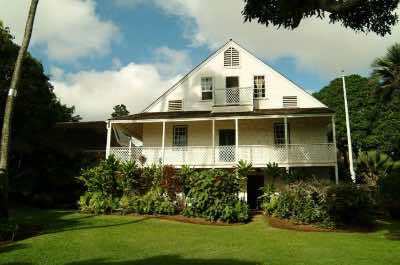 The House was originally built as a mission in the 1830's on the spot that was originally the royal compound of Kahekili. See rare koa wood furniture that belonged to the missionary Edward Bailey and older artifacts like bowls, spoons and utensils that were used by ancient tribes. A fascinating display of weapons crafted from shark teeth is certain to thrill. The museum also houses a collection of the oldest surviving photographs of the island and a private art collection of Edward Bailey's paintings of Maui. When you step outside, the landscaped House gardens are stunning and make for a perfect few hours of relaxation. Look out for the 100 year-old outrigger canoe and an historic surfboard that belonged to Duke Kahanamoku. For the ladies who love lavender our next Maui attraction is a must and you don't need to go to France! The Ali'i Kula Lavender Farm is situated in Kula, high up above sea level where the climate is perfect for the plant to flourish. Walk around on your own, ride in a golf cart or join a guided tour and learn all about the 45 varieties of this herb. The 13 acre cliff-side farm is covered end to end with beautiful purple blooms, olive trees, hydrangea, South African protea and succulents. The kids will have fun on the lavender hunt and the adults can relax on the lanai, or porch, and enjoy the stunning vistas over the ocean. Sipping a cup of calming lavender tea is a must! When you are done, visit the delightful gift shop which offers a fabulous choice of over 75 lavender related products that are made directly from these gardens. The perfect gift to take home for someone special! If you still want to discover more marine life and corals, there is no shortage in Hawaii. Our next Maui attraction is the stunning Honolua Bay set off the north west coast. This picture-perfect setting offers vibrant turquoise and deep blue waters sheltered from the wind by rocky cliffs. The calm waters are excellent for diving, snorkeling and swimming. This is a protected area, no fishing is allowed and as such, aquatic life flourishes, offering the visitor an amazing experience. See colorful tropical fish like damselfish, parrotfish, snapper, Moorish Idols and wrasse. Discover tuna, sea turtles and eels. Beautiful rock formations under water are home to corals and sponges. The waters get rougher in winter with huge waves crashing to the shore, making this a very popular surfing spot. Wear shoes- the beach is very rocky and covered in black sand. A perfect Maui attraction to explore and collect sea shells and other treasures washed up onto the shore. Arrived in Kahului and ready to set off on your Hawaiian adventure? Spend some time in the town before leaving! It is a Maui attraction that is worth exploring. It offers fabulous shopping for the locals and great bargains can be found as you get into the true spirit of the Island. Then set off to the Kanaha Beach Park, hidden away behind the airport, it offers a quiet beach to relax on for a few hours. If you want to get an adrenaline rush, take a lesson in stand-up paddle boarding! 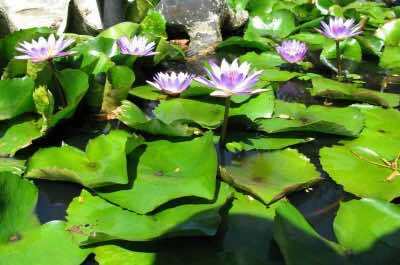 Next, head to the Kanaha Pond State Wildlife Sanctuary where you can spot some endangered Hawaiian bird species and explore a lovely botanical garden which showcases the beautiful native Hawaiian flora. Learn about the sugar cane trade which is the root of the culture of the island, at the Alexander & Baldwin Sugar Museum. Then get ready for your road trip, the famous Road to Hana starts from here and you are off! Missing your golf days while in Hawaii? Head to Kapalua - an exciting Maui attraction on the northern tip of the Island where the famous Plantation Golf Course hosts the best tournaments in the world of professional golf. In this luxurious little paradise you will also find top class beaches, golf, tennis and 5-star resorts. 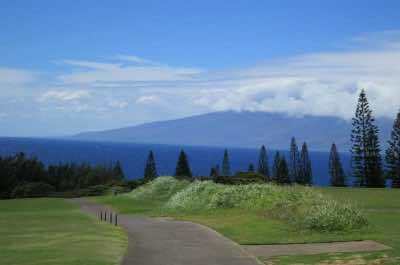 Kapalua Bay has been voted as America's best beach. Relax on a lounger and sip an exotic tropical drink with the movers and shakers! Snorkelers can explore and discover sea turtles and colorful reef fish at Namalu Bay. For those who are fit, follow the Village Walking Trails that wind up to the ridge and see stunning views over the Island and deep blue ocean. In winter Fleming Beach Park becomes the place to be seen if you are a bodysurfer. If you want to escape for a while, the secret, white sandy Oneloa Bay is the perfect me-space. If you just want to cool down, Kapalua is blessed with the trade winds, making it a few degrees cooler than the surrounding areas! As you travel on the iconic Road to Hana, you will come across a fabulous Maui attraction, the Kaumahina State Wayside Park. Stop for a break and explore the 8 acre park which is filled with picnic spots and breath-taking views of the coastline and the endless blue ocean. 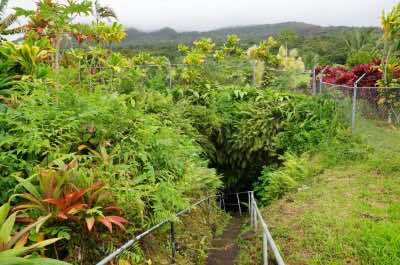 You can enjoy a hike along the trails into the surrounding forests and get to see native Hawaiian plants, animals and birds. Some of the hiking trails loop down to the ocean, where you can walk on the seashore and take a cooling dip before climbing back up again. Bring walking shoes and a camera! If you prefer to relax, simply choose a beautiful spot, set up your picnic blanket and basket under a shady palm tree, stretch your legs and enjoy a meal in this unique paradise. When you are done, it is back on the Road to Hana. Yee-haa! Calling all cowboys! Have some fun at a unique Maui attraction, the town of Makawao. It is located in cowboy country, known as Paniolo, beside the slopes of the Haleakala volcano. The Paniolo culture of horseback riding and cattle trading has been going on here since the 19th century and the area is filled with lovely green hillside pastures and ranches. Enjoy the cowboy vibe as you stroll around, there are horse-hitching posts in the streets and the unique architectural style of American cowboy-style bars and saloons. Rodeos take place here with the most famous one being held during the Fourth of July celebrations. Makawao is located high up on the Island and the name means 'Eye of the Forest'. At these elevations, the region is ideal for growing pineapples and the Maui onion. The town is also known for its trendy art scene, offering a wealth of art galleries, quaint shops, cozy restaurants and boutiques to explore in the main street. 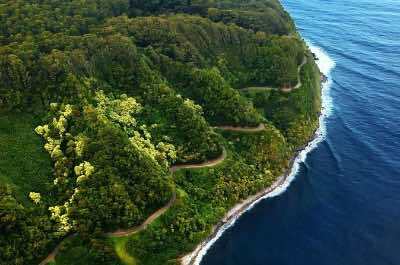 By now you should be familiar with the Road to Hana. 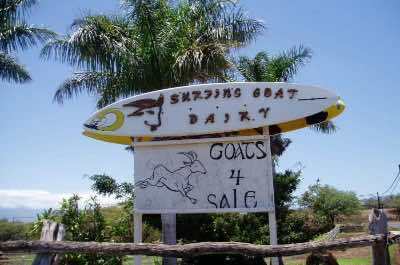 But you may have missed another fabulous Maui attraction on the long road! The Pua'a Ka'a Park offers the perfect place to stop and relax, stroll around and explore the stunning landscape. Stroll along the scenic trails and discover hidden waterfalls cascading down into crystal-clear natural pools. The further in you venture, the higher and more spectacular the sights become in this rain forest park. Take a dip and cool off in a natural pool surrounded by lush green vegetation. Then set up in a cool spot at one of the tables and enjoy your picnic basket. Lush tropical plants, birds and animals will surround you and the odd mongoose may stop to see what you are up to! 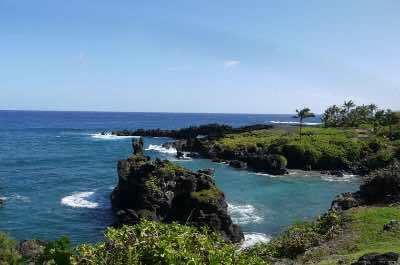 The scenery is mesmerizing and you will feel refreshed and inspired to continue on the Road to Hana. Explore the city of Wailuku and experience the commercial and government side of Hawaii. It is located on the north coast and is a Maui attraction that must be on your list. As the Maui County seat, it is home to the county government and was also home to some of the Kingdom of Hawaii's most esteemed leaders in years gone past. In the 19th century, the city was a major center of the sugar cane industry. Inland of the coastal city is a beautiful state park, the Lao Valley. 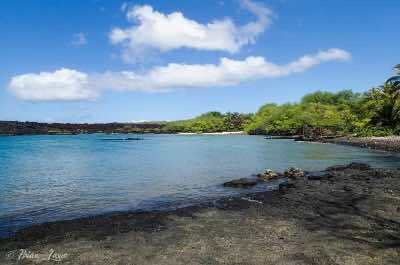 This area is rich in culture and was sacred to Hawaiian gods and was used as a burial ground for Hawaiian royalty. The valley was also the setting for a legendary 18th century battle in the fight to unify the islands as one kingdom. Stroll around and see the historic monuments, browse the quaint shops and stop for a bite at Aria's Restaurant & Catering. This Maui attraction offers Hawaiian seafood, salads and weekend breakfast in a casual, blue and white decor space. The Lahaina Banyan Court Park is found in the old town of Lahaina, near to the scenic harbor. 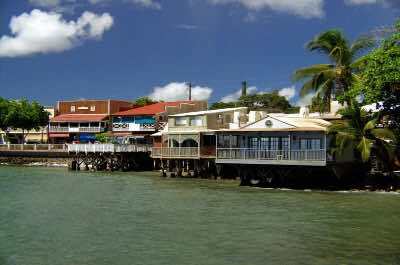 Lahaina was the original capital city of Hawaii before Honolulu was given that honour, and is situated on the central west coast of the Island. This Park is known for one of the most famous trees in the world, the oldest living Banyan Tree which is over 150 years old. The tree is one of the great Maui Attractions and will astound you with its giant size of over 60 feet and multiple trunks that makes it look like a mini forest. Stroll through the Park and visit the old Lahaina Courthouse which is now home to the Lahaina Arts Council and the Lahaina Historic Society. Entertainment, music shows and arts and crafts demonstrations take place here throughout the year. The Park is especially lovely at night when it is all lit up. Relax on a bench and soak up the ambiance under this monster tree! Photo by D. A. Lewis on Flickr. Where is the best handmade Vodka in the world produced? 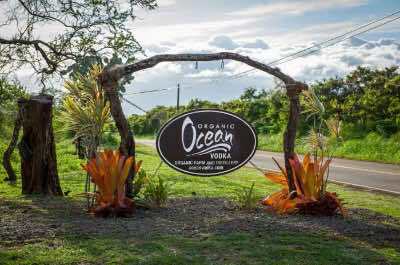 At our next Maui attraction, the Ocean Vodka Organic Farm and Distillery! Three generations of the Smith family have lived in Maui and this is their passion. They set out to produce the best Vodka that would use the local ingredients, provide work for locals, be sold worldwide, enchant the millions of tourists and create a sustainable industry in Hawaii. So take a visit and see the results of this vision. Sip some Ocean Organic Vodka and enjoy its crisp and clean taste, it is marketed throughout the world and is the best selling Vodka from Hawaii. Take a guided tour and learn all about the making of Vodka, the history and culture, from the fields of sugar cane to the 60 foot high distillation column. You will get a souvenir to take home and if you want to sample some on your flight home, it is the exclusive Vodka served on Hawaiian Airlines. Seeing a massive tree may not sound like a amazing Maui attraction, but when you stand under the biggest and oldest Bunyan tree in the world you will get shivers down your spine. Head off to Lahaina Front Street in the town of Lahaina on the central west coast. The tree will be the first amazing sight that greets you! It was imported from India and was planted in 1873. At that time it was just 8 feet high. Today it measures over 60 feet high and covers and area of 200 feet. The Bunyan tree grows multiple trunks with roots that grow downwards from the branches. This surreal effect looks like a mini forest, but is in fact just one massive tree! Stroll down Front street and browse through the quaint shops, stop in at the art galleries and cozy restaurants. See arts and crafts demonstrations and other live forms of entertainment. Then relax on a bench under the tree and soak up the ambiance. Located on the north tip of the Island is am amazing sight that makes this one of the best Maui attractions, the Nakalele Blowhole. Be prepared to walk down a rocky path to see it, so come with suitable shoes! Although Maui is filled with dormant volcanoes, this is not one! It is a massive explosion of seawater that spews upwards on a regular basis, throwing water into the air with a massive crash. The eruptions occur every few minutes when the tide is high,shooting up 100 feet into the air, a spectacular sight to see. The Nakalele Blowhole is a natural geyser where seawater is trapped inside an underwater lava tube and is trying to escape. It bursts out through the hole in the dark, black rocks. For added beauty, a rainbow is often seen in the rising steam. This Maui attraction of true beauty, does come with a warning! 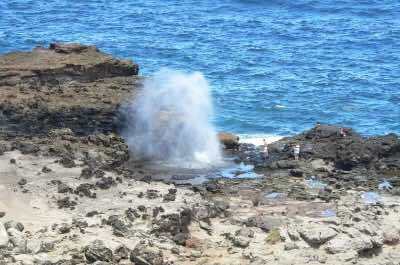 The blowhole can be dangerous if you get too close, slippery rocks and the force of the water can cause accidents. Stay at a distance and enjoy this rare natural phenomena! 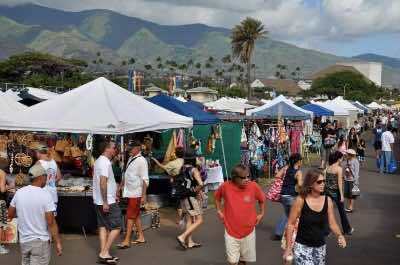 If browsing at a local market is your thing, the Maui Swap Meet is the perfect Maui attraction for you! This event takes place at the Uh Maui College in Kahului every Saturday from 7.00am onwards. Be prepared to spend time as you stroll around this fun and vibrant market filled with all types of authentic local items. Buy some fresh fruit and vegetables. Bargain for a handmade vintage Hawaiian souvenir. How about a huge sombrero to keep the sun at bay? Buy a T-shirt to add to your been-there-done-that collection and buy a lovely piece of jewelry for someone special. Maui is known for coffee, so a bag of your special blend is a must. The admission fee is a bargain at under a dollar, making this a great family day outing. When you get tired of walking you can stop for a shoulder massage and then enjoy a Sumo dog. Ample parking space, disability friendly! 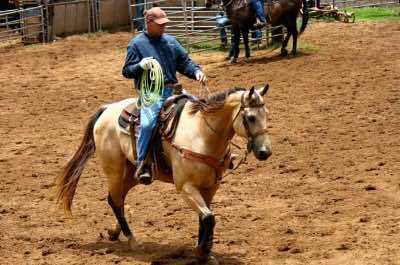 Live the dream of being a rancher at the fabulous Mendes Ranch. The family have resided here for generations and it operates as a working ranch, with guided tours on horseback along the trails. What could be more fun! Enjoy the Morning Oceanfront Trail Ride which begins at the Mendes Ranch Corral and takes you down the edge of the scenic valley to the coast. Here you will stop to catch your breath and view the magnificent vistas over the Pacific Ocean. You then mount your trusty steeds again and head back to the corral. On your ride you will learn about the history of the ranch and the feeling of ohana, or family, that was brought here from Portugal in 1886. Spot the flora and fauna and you may be treated to a magnificent sight of a peacock with feathers outspread! The trail guides will take photos of you with the majestic seascape in the background. Make sure you wear your leather pants, boots and hats for an authentic look. The ranch also offers the picture-perfect setting for grand celebrations, so book your date now. Don't miss this Maui attraction! Are you a cheese lover? Our next Maui attraction is sure to delight you! 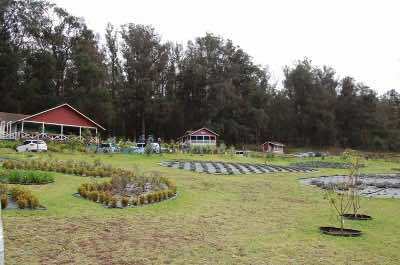 This real working dairy farm is situated on the magnificent slopes of the Haleakala Crater in lower Kula. Set off for a day's adventure with the family. The farm has been producing award winning Gourmet Goat Cheeses for almost 10 years and is known around the world. Join a tour and learn all about goats and how goat's cheese is made from start to finish. There is a wonderful selection of tours to choose from. Join an inexpensive Casual Tour, just stop by and set off! Book for the Evening Chores & Milking Tours or take a Grand Dairy Tour. Feed goats, see the farm in action and then sample the cheeses, there are over 30 varieties. This eco-friendly farm raises animals in humane conditions with ample space for grazing, shelter and a proper diet. A great feel-good experience! Take your camera and set off to photograph Dragon's Teeth! Not real ones, but huge outcrops of rocks that resemble the teeth of a huge dragon. 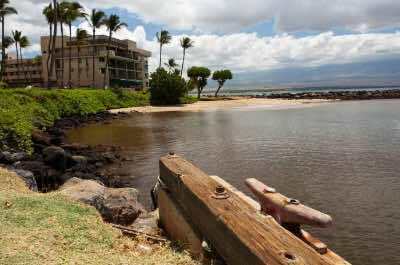 This Maui attraction is located at Makaluapuna Point in Kapalua on the island's north west shore. The landscape was formed during one of the more recent lava flows, when molten lava poured down from the West Maui volcano. This lava was lighter than other flows on the island and as it moved towards the ocean, the massive waves and strong winds caused the lava to harden and solidify in an upward fashion, creating massive jagged black points that look like dragon's teeth. Salty sea spray has whitened the points and created holes, making it look even more authentic and spooky. The Teeth are located behind an ancient Hawaiian burial site which has a sign asking you to respect the area and not venture in! Nearby is the exclusive Ritz-Carlton Kapalua Resort where you can enjoy a cocktail as you admire the stunning scenery. 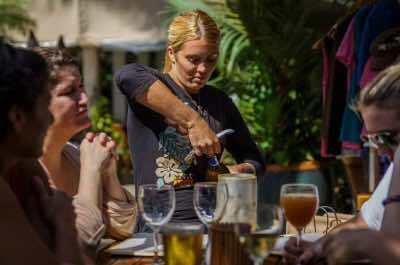 Maui Wine offers exclusive rare vineyard experiences for wine lovers and connoisseurs. Join a tour that will take you through this magnificent estate where you can learn all about wine making and enjoy some tasting too. Start at the King's Cottage, where you will sit at the 18 foot bar, crafted from a single piece of solid mango wood. Go back in time and experience the rich culture of this historic location. The Cottage was constructed in the 1870s to host the visits of King Kal?kaua, the last reigning King of Hawaii who would come to the slopes of ÔUlupalakua to enjoy some royal vacation time. Come as a group or as a romantic twosome and leisurely sample the beautiful handcrafted wines of the estate while chatting to the estate manager. Try the ever popular Pineapple wines and Traditional Methode sparkling wines. For something extra special, book a private, personal tour. This Maui attraction is for over 18's only. 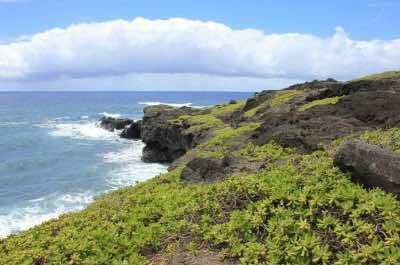 Just when you think you have exhausted all Maui attractions, you still need to visit the beautiful Ahihi-Kinau Natural Area Reserve, established in 1973. Located on the south west coast, it offers a protected area of land, coastal lava fields and ocean where no fishing is allowed, allowing the natural life to flourish. The area is a paradise for all types of interests. Sports lovers can dive and snorkel at the beautiful protected cove that is filled with an abundance of colorful and exotic aquatic creatures. The water is very calm, making this ideal for beginners and children. You can get to see butterfly fish, parrot fish, damsel fish, surgeon fish, moorish idol, wrasse squirrel fish and more! Note that the beach is rocky and shoes are recommended. Take a walk and look for treasures washed up the waves. Inland, nature lovers can spot different animals and see endangered species. There are also cultural sites for those interested in the history of the Island and the surreal volcanic lava landscapes cannot fail to impress. The Garden of Eden is probably one of the most beautiful places on Earth! Located on the famous Road to Hana, you need to stop and explore this Maui attraction. The lush, green vegetation and massive sparkling waterfalls that cascade into crystal-clear pools will enchant. There is an amazing abundance of flora and fauna that you can learn all about on a guided tour. Buy a packed lunch from the vendors food truck called the Coconut Cafe and find a lovely spot in the garden to picnic. There are beautiful pavilions with tables overlooking the Puohokamoa Waterfall, Keopuka Rock and the orchard. If you are really brave, you can join the Rappel Maui, a tour that takes you to the Puohokamoa Waterfall. This is one of Hawaii's boldest adventures, the sport of canyoneering. Venture into the heart of a private rainforest preserve using ropes to jump down waterfalls and jungle cliffs. The opening scenes of Jurassic Park were filmed here, a must-visit Maui attraction and a piece of trivia that will delight the kids!